Poetry. Joshua Kryah's GLEAN, a reference to the gathering of grain after harvest, explores the appalling trust implicit in any act of faith-that prayer may not elicit a response. Moving between doubt and vulnerability, the body and its unresolved spiritual fate, these poems dedicate themselves to the pursuit of redemption. "In these tight and resonant lyrics, logic, precision, and affection coalesce. Opening with the self as a winged fruit, Kryah goes on to find more and more facets of being that negotiate body, name, and world in a way that brings out both their reverence and their rigor. Like prayer that needs nothing to pray to, these poems continually open, enlarging our view"-Cole Swenson. 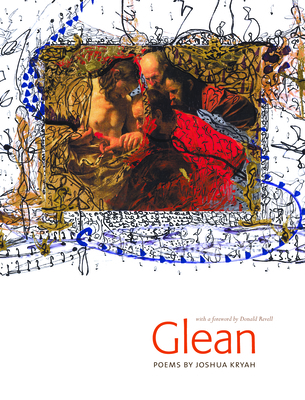 GLEAN is the winner of the 2005 Nightboat Poetry Prize. Copyright © Left Bank Books | Header Image by Jim Mosley and may not be reproduced without written consent by Left Bank Books.